Festive demand may push prices of pulses: Assocham. In a bid to meet the festive demand, the government is likely to import over 10 million tonnes of pulses as the domestic production is expected to be limited to 17 million tonnes against the rising demand of 27 million tonnes, an Assocham report said. 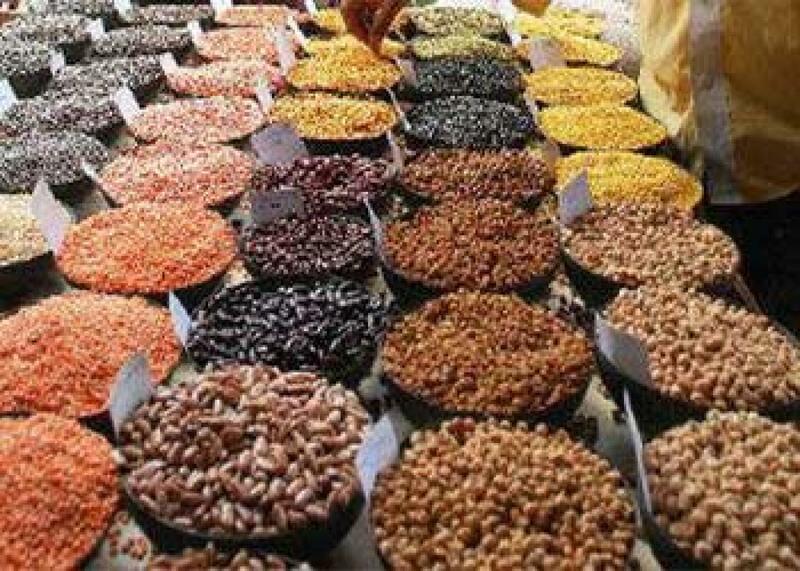 New Delhi: In a bid to meet the festive demand, the government is likely to import over 10 million tonnes of pulses as the domestic production is expected to be limited to 17 million tonnes against the rising demand of 27 million tonnes, an Assocham report said. The deficit monsoon rains have affected the yield in several producing states with a huge shortage of 10 million tones. The prices of various pulses may shoot up further by as much as 10 to15 percent in the festival season, exerting prices on food items. Festivals like Diwali being round the corner, the demand for pulses would further shoot up and prices may be looking up further by at least 10 to 15 per cent making the pulses available at Rs 90-145/150 per kg with prices varying in different states. The consumption of pulses and cereals increases because of increased demand for preparation of sweets and other delicacies going with different festivals, from Diwali right up to Christmas. Import of the pulses from other countries could be extremely expensive this year as the grower countries already facing a shortage of supply have increased their selling rates, adds the study. The major pulse grown in India are Gram and Tur. Gram, with a production of more than 7 million tonnes, contributes more than 41 per cent in the total pulse production of the country. Tur, with a production of 2.7 million tonnes and a contribution of about 16 per cent, is the second major pulse crop grown in India. India is dependent mainly on Myanmar for Tur, Urad, Moong, Canada and USA for yellow peas, Australia, Canada and Myanmar for chana (desi chana/chickpeas), Canada, Australia and USA for lentils. The major pulse-producing states -Maharashtra, Karnataka, Rajasthan, Madhya Pradesh and Uttar Pradesh, which together account for about 70 per cent of the country’s total kharif pulse production may witness less rainfall affecting the output and prices. During 2013-14, pulses worth $1.9 billion were imported. India’s large dependence on imports, higher prices and declining per capital availability and consumption of pulses have been matter of concern. Therefore, the Government must prepare an implementable action plan to incentivize farmers to cultivate more pulses in the Rabi season so that more technical support is provided.